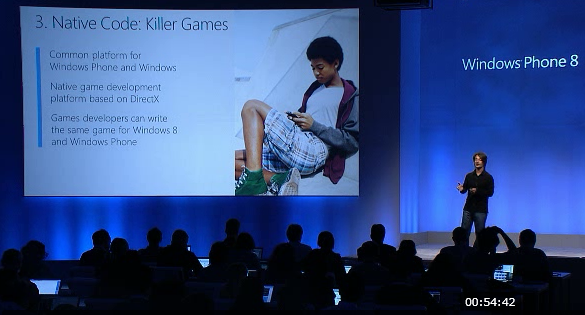 Microsoft this morning announced Windows Phone 8. However, the situation for those people who currently own a Windows Phone handset isn’t exactly clear. Consider this post an explanation. Essentially, if you have purchased a Windows Phone device that did not ship with Windows Phone 8, which is to say every handset on the platform that has been sold thus far, you can’t upgrade it to Windows Phone 8. Sorry. This is due to the fact that how Windows Phone 8 is designed — it runs on a different architecture, and your current handset doesn’t have the hardware to support it. However, Microsoft, likely anticipating a nasty backlash, has a compromise. A fix, of sorts, if you will. Here’s what the rub is: If you are on one of the now unupgradeable handsets, you will get something in the middle: Windows Phone 7.8. Windows Phone 7.8 will include the new Start Screen that Windows Phone 8 sports, meaning that those who can’t make the hop will still get the most noticeable element of Windows Phone 8. Some other features will be included as well. However, the writing is on the wall, old handsets are now passe, from a firmware perspective. So, if you have a current phone, you get a stopgap. However, if you are a big fan of the platform, you are likely going to need to upgrade to a different handset if you really want to experience the upcoming performance benefits and upcoming apps which will be taking advantage of them. I suspect that even though Microsoft has put together this little feature, it’s still going to get whacked. The people who bought in early to Windows Phone, the first adopters, are being penalized, in a way, for buying those phones. They are now being cut out of the platform’s future moves, unless they rebuy. This will be especially annoying for those who waited for the Nokia Lumia line, and then bought in, and now are going to be frozen out. Such is life, but there will be complaints. For all of TNW’s coverage of the Window Phone Summit, head here.